BJP chief Amit Shah today accused the Congress of "conspiring" to derail the Constitution amendment bill on backward classes. His remarks came a day after the Rajya Sabha passed opposition-backed amendments to the legislation in an embarrassment to the government. 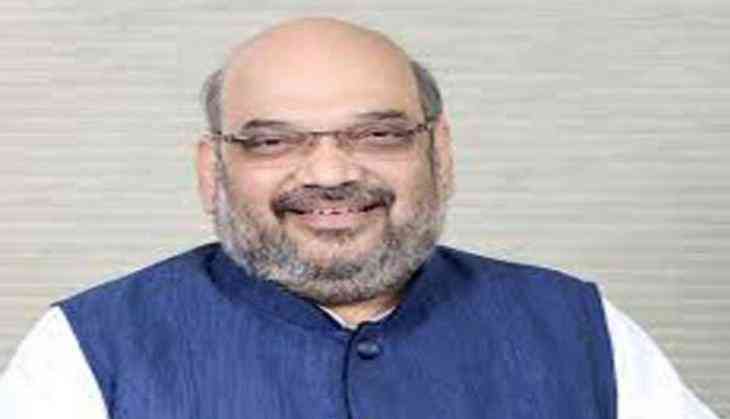 Shah lashed out at the main opposition party at the BJP parliamentary party meeting, saying it has been conspiring to stop the bill's passage in the Rajya Sabha despite all parties agreeing to its provisions in the select committee it was sent to, Parliamentary Affairs Minister Ananth Kumar told reporters. "The bill should have been passed by Parliament in the budget session as the Lok Sabha had passed it unanimously. But the Rajya Sabha sent to a select committee. All parties made unanimous recommendations in the committee but the Congress again conspired to stop it," Shah told MPs. The legislation has been projected by the BJP as a major political outreach to the politically crucial backward classes and Prime Minister Narendra Modi has time and again highlighted it as a major effort of his government to address the communities' concerns. Though the government enjoys a strong majority in the Lower House, it is still short of a majority in the Upper House. Shah also asked party's lawmakers and other members to participate in a big way in three exercises, including the week long event starting from August 9 to mark the 75th anniversary of Quit India movement. The party has also asked its members to participate in August 15-30 'sankalp yatra' and then reach out to first-time voters in the year 2018. Modi has called them new millennium voters.